Monica Kulling’s spunky, playful text is beautifully complemented by the stunning pen-and-ink with watercolor illustrations of artist Bill Slavin. It’s a Snap! 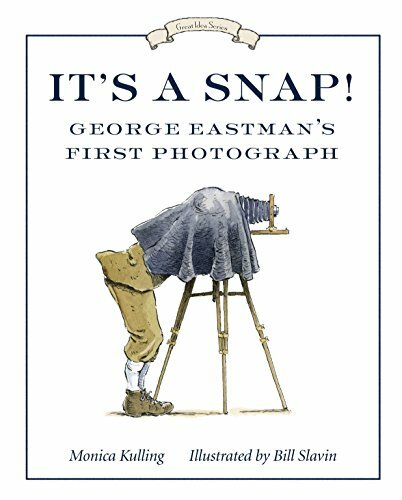 George Eastman’s First Photo introduces a new series for Tundra — the Great Idea Series — a must-have for schools, libraries, and parents alike. If you have any questions about this product by Kulling, Monica/ Slavin, Bill (ILT), contact us by completing and submitting the form below. If you are looking for a specif part number, please include it with your message.